Rank: Double of the I Class. 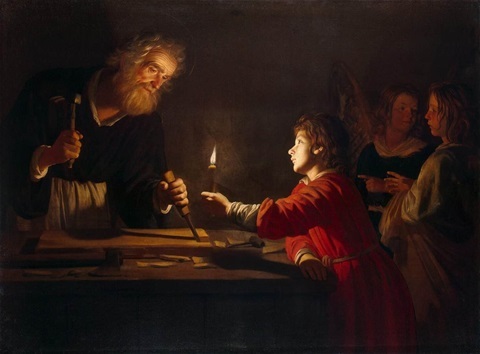 The Feast of St. Joseph, the Workman, was instituted by Pope Pius XII, in 1955, to be celebrated on May 1, suppressing the "Solemnity of Saint Joseph, Spouse of the Blessed Virgin Mary" that had been celebrated on the second Wednesday after the Octave of Easter. The feast of Saints Philip and James Apostles, which was celebrated on May 1 since the sixth century, was moved from thence to May 11.